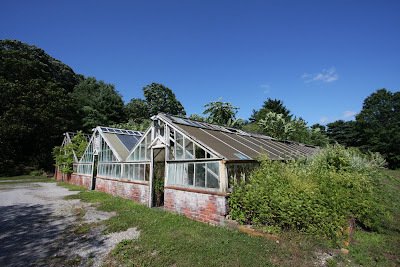 The greenhouses at Henry Carnegie Phipps' estate 'Spring Hill' in Old Westbury. the greenhouses are always the first building on properties to be left go. I love how nature has reclaimed this! At Lyndhurst in the hudson river valley that I blogged about last week, only the foundations and metal skeleton remained.